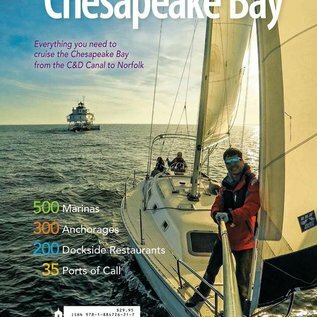 The 2017 Guide to Cruising Chesapeake Bay is the latest in more than 45 years of editorial offerings from Chesapeake Bay Magazine. Written in first person, it is updated annually by our boating staff who cruise the Bay. It covers the Chesapeake from top to bottom; hundreds of creeks, rivers, and 35 breakouts of ports of call with chart segments, maps of waterfront towns, 300 anchorages, 500 marina listings, 200 Dockside restaurants, museums, annual events and is the essential cruising guide for the Chesapeake Bay. 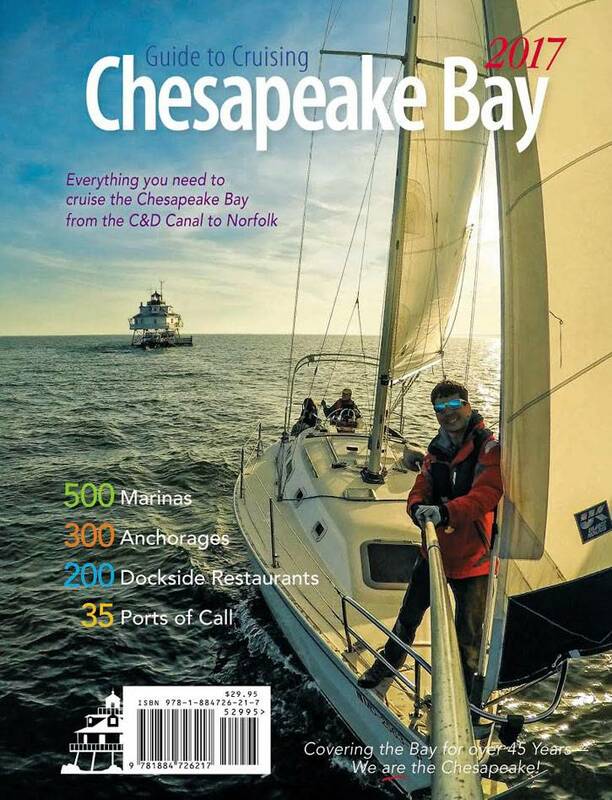 It is the essential guide to cruising the Chesapeake.